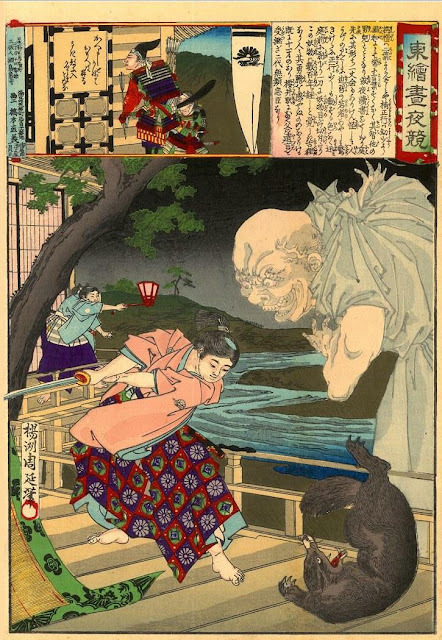 The Kusunoki family fought to gain power and support over the shogunate for the Emperors: Go-Daiko and his 12-year old successor, Go-Murukami, during Japan's Nanbokucho Wars (Wars between the Southern and Northern Courts). Among those who are dead with bows." I inscribe my own. " Kusunoki Masatsura death poem according to wikipedia. 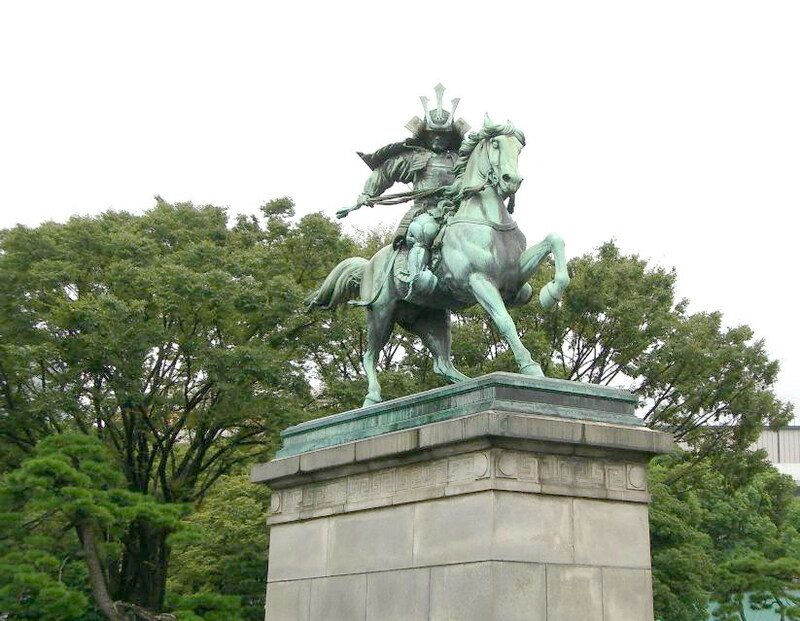 Kusunoki Masatsura (1326-1348) was one of the primary military leaders who revived the Southern Court in the 1340s. As the entire Kusunoki family (he was son of Kusunoki Masashige), he was supporter of the Southern Imperial Court during Japan's Nanbokucho Wars. Kusunoki Masashige (1294-1336), his father, was a 14th century samurai, called Nanko or Dai-Nanko, who fought for Emperor Go-Daigo in his attempt to wrest rulership of Japan away from the Kamakura shogunate and is remembered as the ideal of samurai loyalty. His statue made by bronze, still watching over centuries the Tokyo Palace Gardens. Kusunoki Masatsura - One great Chikanobu (1838 - 1912) illustration depicting the brave warrior Kusunoki Masatsura as a boy, fending off evil creatures. The inset shows Kusunoki Masatsura as a grown man reading his death poem on a temple door before the Battle of Shijo, where he lost his life at 22 years old.